Walgreens hasn’t offered much in the way of FREE After Rebate items as of late. 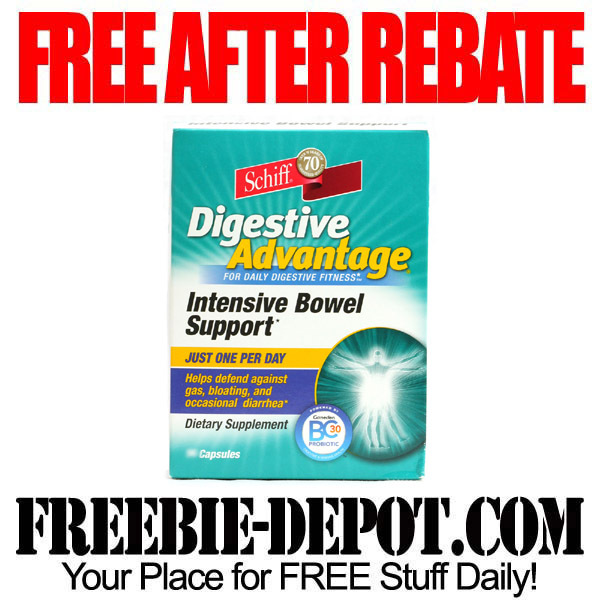 However, this week (9/1/13 through 9/7/13) you can get FREE Schiff Digestive Advantage Intensive Bowel Support (32 Count) After Rewards. You will pay $8 with your FREE Walgreens Balance Rewards Card and receive a FREE $8 Register Reward with your purchase to redeem toward a future purchase. In store only. Limit 1 coupon per customer per printed offer. Don’t forget that you can purchase rewards items on a separate transaction prior to making the remainder of your purchases so that you can then immediately redeem and use your FREE Register Rewards. A FREE Walgreens Balance Rewards card is required to get the sale price as well.